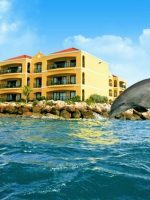 The Sunscape Curacao Resort, Spa and Casino is located on the island of Curacao in the southwestern Caribbean. 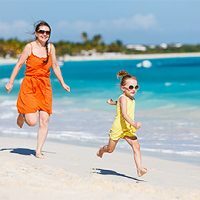 The property sits on 1,500 feet of private white sand beach and is one of the only all-inclusive resorts on the Dutch island that caters to families. 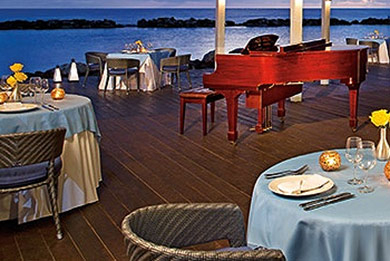 The resort has 333 rooms and suites, all of which have a balcony, terrace, or patio. Room choices include king bed, two queens or a double bed. The two-bedroom suites sleep six and have bedroom suites have a king-sized bed in each room and a pullout sofa. These suites are ideal for families, as they have a living room with another pullout, and a fully equipped kitchen. Gardenview Rooms have a king or two queen beds and offer views of the garden. 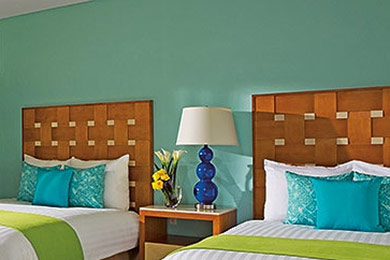 Oceanfront Rooms, of which there are only 32, feature views of the oceans with king or two queen beds. Jr. Suite Oceanfront rooms also overlook the water with a king bed. There are only three of these suites. Jr. Suites Oceanview provide some sort of ocean view with either one king or one queen bed and a two-seat sofa. Two-Bedroom Suites feature a king bed and one pullout sofa in each of the two bedrooms. The living room also features a sleeper sofa, making this suite good for six people. If you like plenty of food and plenty of bad drinks on a nice beach.-This is the place for you! The hotel is running a scam where they give you giftcert, that you cant use. Well, as far as all inclusive hotels go-this is the bottom of the class. It's poorly maintained, food is terrible , even in "restaurants". Buffet is barely eatable, drinks are pretty watery. The beach is fairly nice, breakwall protects it well, great for swimming. Club rooms have some very small perks. Overall, not worth it. We were trying to eat out as much as possible to get some eatable food. Power outlet situation is beyond ridiculous. Hair dryer doesn't work in the bathroom (euro outlet there with American style plug on the hair dryer). Provided iron ONLY works in the bathroom😁 Hotel refused to rectify the situation, said I HAD TO buy an adapter to use hair dryer THEY provided in the bathroom. Did I mention hotel is not clean? 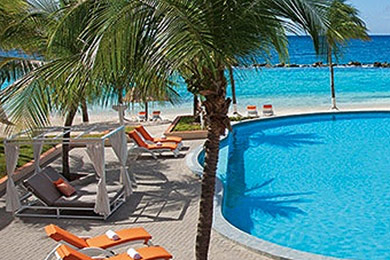 The Sunscape Curacao has three pools, one with a swim-up bar and another entirely dedicated to family fun. 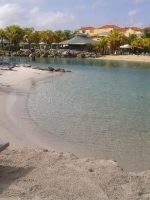 The beach is great for swimming, and the adventurous can take advantage of complimentary windsurfers, kayaks, sailboats, paddleboats and snorkeling equipment. The daily schedule of events includes activities like sumo wrestling, bouncy boxing, body painting contests, beachside parties, afternoon tea, rock climbing, pool, meringue and reggae classes, and fashion shows. Kids will also love the flying trapeze and trampoline clinic. 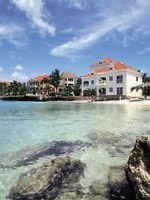 Curacao is known for its scuba diving, and there is an aquatic playground made of old cars and equipment a short boat ride away. 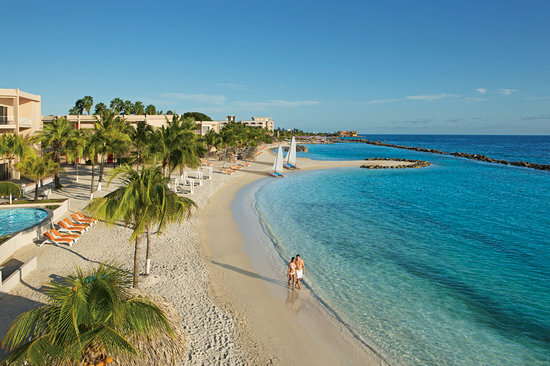 Breezes Curacao offers free basic instruction, with one shore dive per day. Additional shore dives, boat dives, night dives and certification courses are available for an extra charge. Back on land there are lighted tennis courts for night play, bicycles, table tennis, and beach volleyball. The fitness center at the resort offers treadmills, an elliptical trainer, a stepper, a stationary bike, free weights, and a variety of machines. Or, pamper yourself at the spa with a massage, facial, body scrub or take advantage of the steam room, sauna and Jacuzzi. Use of the resort's Kids Club and Teen Club are included with your stay and have supervised activities throughout the day. The program runs from 9 a.m. until 5 p.m. and again in the evening from 6:30 until 9 p.m. Activities include pool parties, sandcastle building, scavenger hunts, story time, finger painting, nature walks and arts and crafts. Breezes also has the largest casino on the island, with 270 slot machines, black jack tables, poker tables, and roulette. There is also a disco, but it's off-limits to kids except for special parties hosted before regular operating hours. There are three restaurants, two snack bars, and five bars. Jimmy's Buffet is a casual restaurant for everyone and serves breakfast, lunch, dinner, and midnight snacks daily. The Scotch Bonnet is open for lunch and snacks through 6 p.m., which include hotdogs, hamburgers, French fries, BBQ and ice cream by the beach. The Superkids Snackbar offers light snacks and refreshments for kids throughout the day, as well. For a night out, Mom and Dad can enjoy their choice of the Munasan, a beautiful Japanese restaurant with gorgeous views. The restaurant is open only for dinner and requires reservations. Pastafari, an Italian restaurant with a variety of pastas, dishes and wine, is another great dinner-only spot. Reservations are required, as are collared shirts for men. Internet access is available on computers in the lobby and near the beach, and guests can purchase access cards from $50 to $20. Babysitters are available for private and evening babysitting, for an additional charge. The island is near South America and enjoys 70 to 80-degree temperatures year-round. 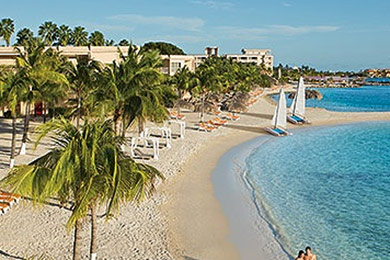 Guests fly into Curacao International Airport via American Airlines, Miami Air, and United Airlines. 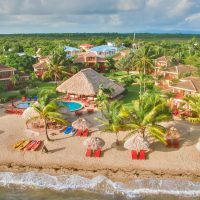 Each guest will pay a $20 departure tax. 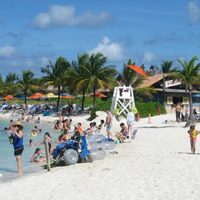 Neighboring Aruba is a quick jaunt, and many people like to visit both islands when traveling. Blue Mahoe Spas, SuperClubs Resorts' spas, provide facials, massages, body treatments, hair and makeup services and more.